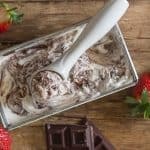 Chocolate Ripple Ice Cream, a creamy No Churn Ice Cream Recipe, add a few Strawberries and make it even better! The perfect summertime treat, any time of the day! 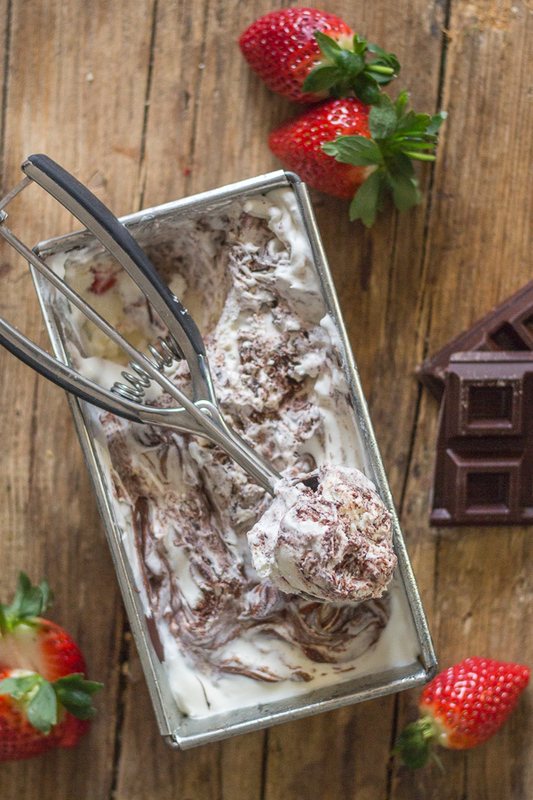 If it’s as hot where you are as it is here in Italy then this No Churn Ice Cream is the perfect cool down dessert! I decided to make a combination of Chocolate and Strawberries for my daughter as that is her absolute favourite. I think she counts down the days until the arrival of Strawberries. And lucky for her she always gets to eat them fresh off the vine twice, once in Italy and then again in Canada! 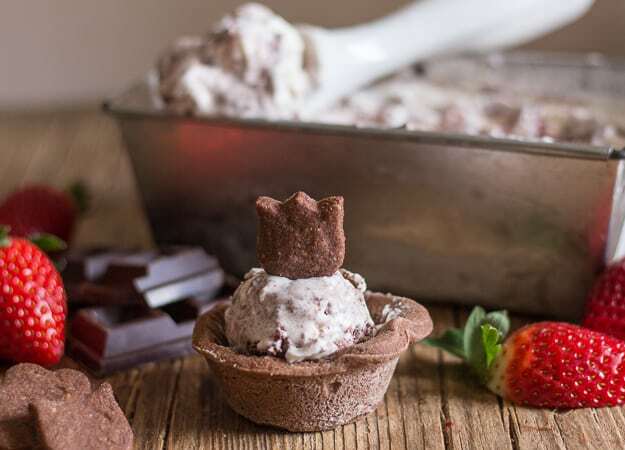 And to make her even happier I decided to make Nutella Pie Dough tarts, which I blind baked, once they were cool I then filled them with a scoop or two of Strawberry Chocolate Ripple Ice Cream. 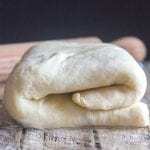 Roll out dough and place in a pie plate or muffin or tart pan. Line pie plate or tart pan with parchment paper and fill with dry beans, rice or even sugar. Bake for approximately 10-15 minutes (or until pastry is firm) remove parchment paper and beans and re bake for another 5-10 minutes or until pastry is golden brown. Let cool before filling. Whip cream until stiff peaks appear. 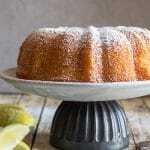 Whisk together sweetened condensed milk and vanilla. 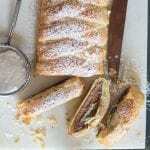 Fold in the sweetened condensed milk mixture and whipped cream. Pour into loaf pan or container, drizzle with melted chocolate. Then grab a spoon and Enjoy! 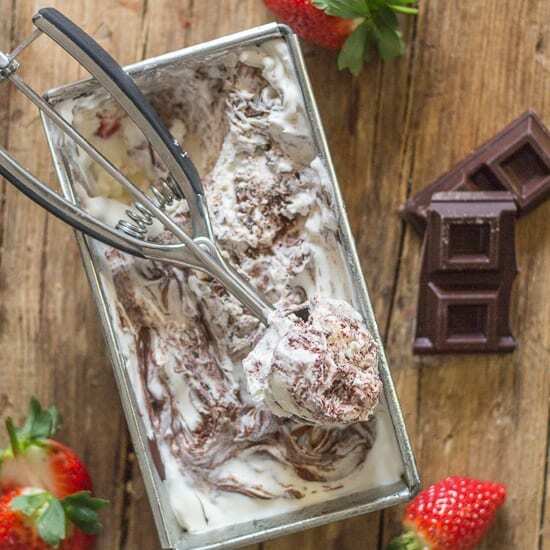 Chocolate Ripple Ice Cream, a creamy homemade Ice Cream Recipe add a few Strawberries and make it even better! The perfect summertime treat, any time of the day! In a medium bowl whip the cream until stiff. In a large bowl whisk until smooth the sweetened condensed milk and vanilla. Add a little whipped cream to the sweetened condensed milk (just to soften it up a bit), then fold in the remaining whipped cream, gently fold until combined. 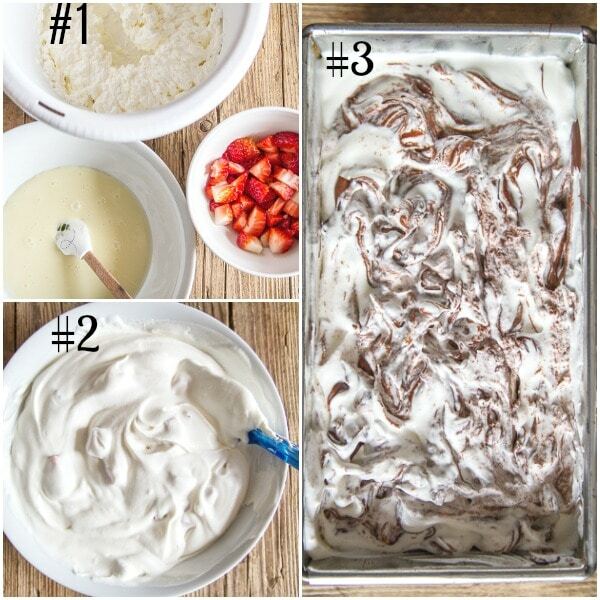 Fold in the chopped strawberries and pour into a regular loaf pan. 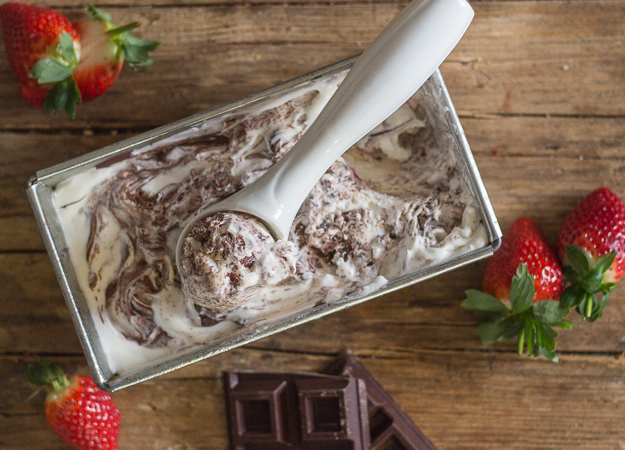 Drizzle with cooled melted chocolate, with the tip of a knife swirl to combine. 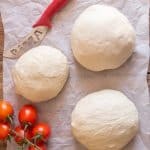 Freeze for 3-4 hours, over night or until firm. Enjoy! I have teamed up with some awesome fellow bloggers to share recipes with you once a month for various food holidays. 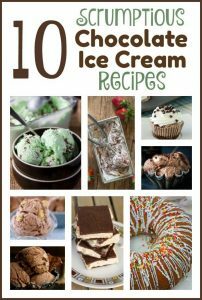 And since today is June 7th, which means it is Chocolate Ice Cream Day we are sharing our recipes. So I hope you will check out their recipes too. Cool down and enjoy!